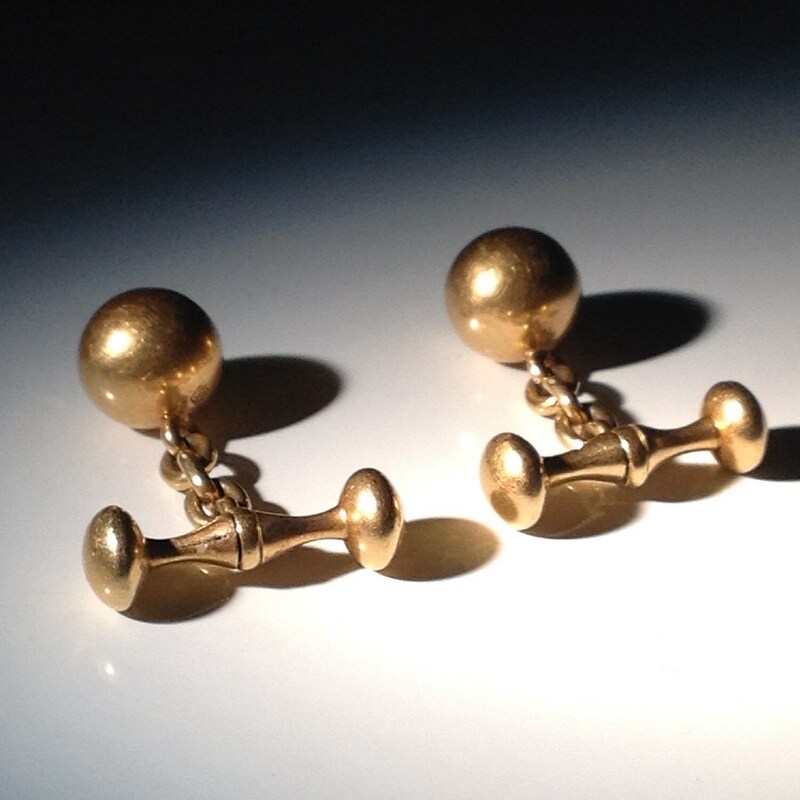 By far and away the finest 18 KT gold ball and barbell cufflinks available today. 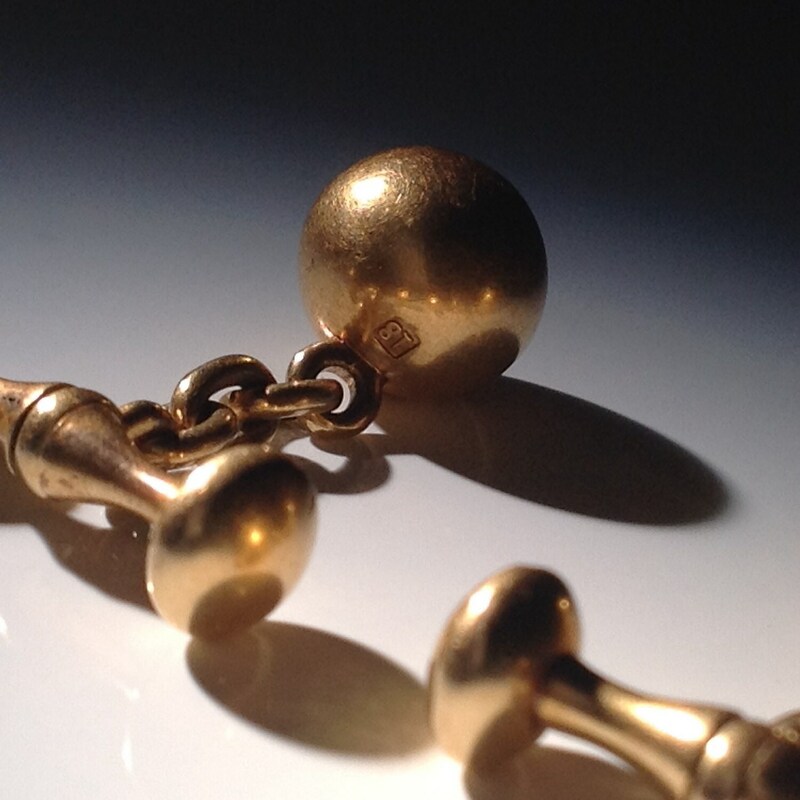 The ball has a bale and then there are three links of closed chain that terminates in a swivel barbell. Timeless design probably made in England though it could have been somewhere else in Europe. Simply stamped '18'. Condition is excellent with no major issues and only light surface scratching. Not cleaned or polished, with original patina. 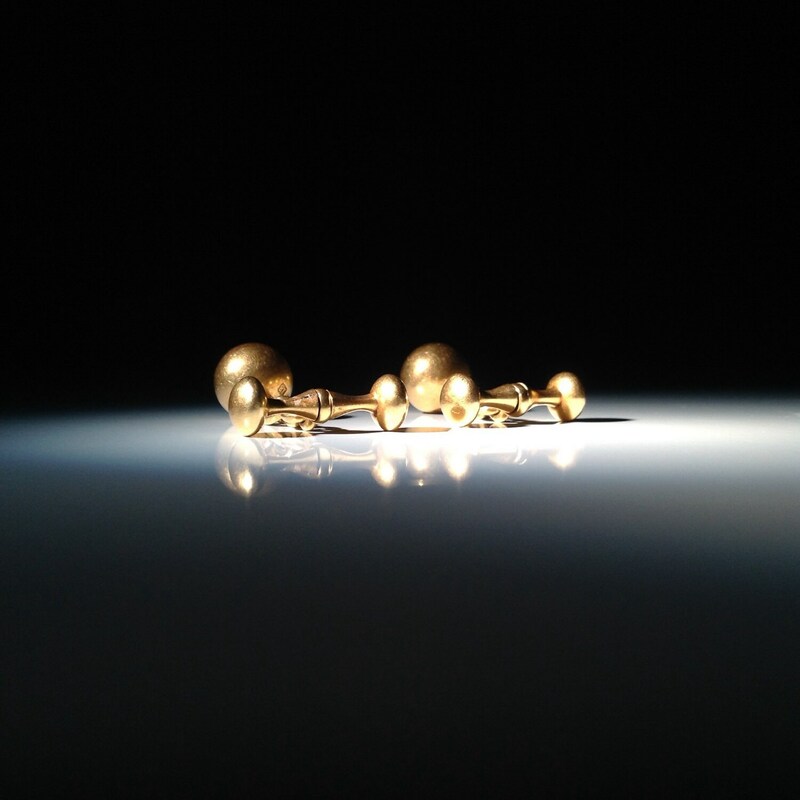 At your option, I can polish these up like new, though the rich color of the patina on this gold that only many decades can produce. 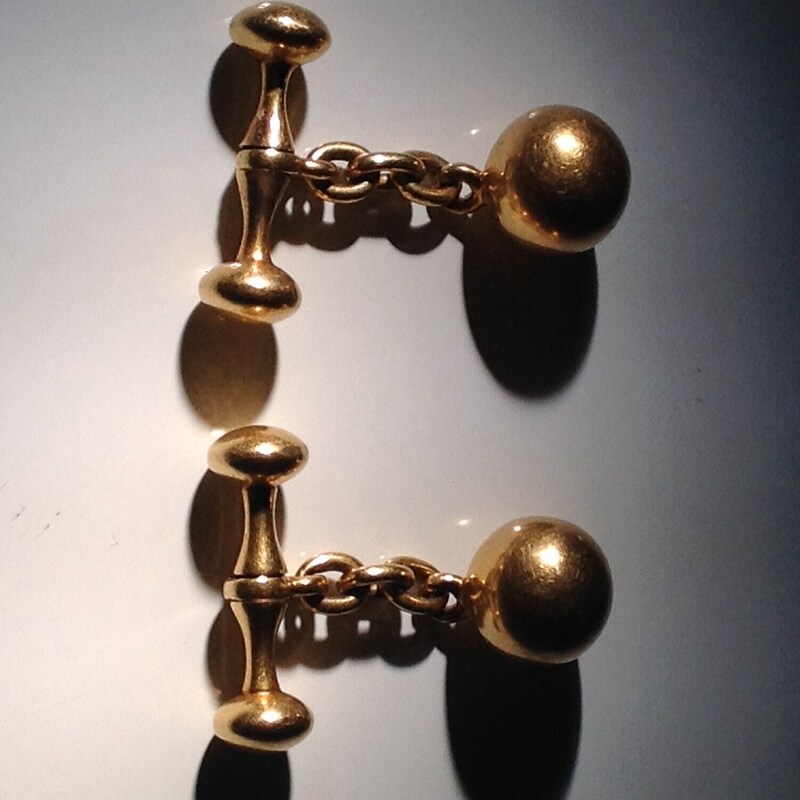 Weight is 10.3 grams on the pair Balls are about 10mm and bars are about 21.5mm.